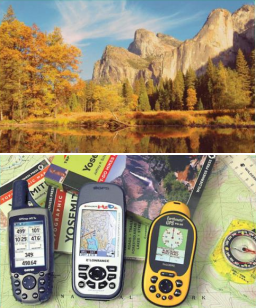 This skills program discusses things you need to know before relying on a portable GPS receiver. Finding your way there and finding your way home is not always so easy in the wilderness. Steve talks with author Stephen Hinch who wrote the book, Outdoor Navigation with GPS. Stephen is a high-tech executive with technical knowledge of the GPS system and a love of wilderness travel. A GPS receiver can make navigaton easier, but what do you need to know to use it, and what do you need to know when it's not making it easier? What should you look for if you're shopping for one? What's the easiest way to use one in order to keep from getting lost? Stephen also mentions orienteering as a great way to learn navigation skills to use when you can't use GPS. Through the U.S. Orienteering Federation, you can find a local club that can teach you more traditional navigation skills.